When it comes to letting your little ones watch TV, we believe it’s good for you to know all about great new shows. This allows you to engage with them after the episode ends with an open conversation about what they’ve watched. Produced by Cloudco Entertainment, OLM and Dentsu Japan and written by Davey Moore (Thomas & Friends) and Emma Hogan (creator of Nelly & Nora) the new CBeebies animation Tinpo, premiered in December 2018 with brand new episodes starting this week. This is a show that has it all: fun colourful characters, creative problem solving to make them think and entertaining and engaging story lines that hold their attention throughout. Each episode follows the adventures of Tinpo and his team of wildly imaginative problem solvers for the citizens of Tinpotown and is a funny take on classic themes of construction and problem-solving for pre-schoolers. 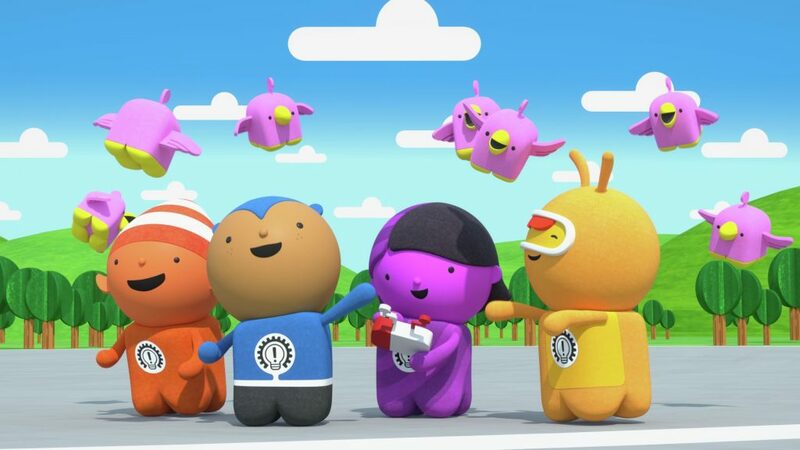 This new show encourages young children to think outside the box – just like Team Tinpo who are the local heroes of the community and totally devoted to each other and to the larger goal of creating a better, more fun world. Tinpo, Doug-Po, Logi-Po and Hack-Po are smart and creative inventors who are always ready to hop onto the Tinpo train and answer the call of any Tinpotown resident who needs a helping hand. Using comedic trial-and-error, team Tinpo keeps asking “What if we tried this…?” until the job is done. Working together, using their cool and fantastical tools, they design and construct solutions that, while rarely the most practical, are always the most creative and unexpected – putting the “fun” into “function”. Tinpo isn’t just about having great ideas – it’s about getting excited over ideas, about the joy of creation, and remaining curious. 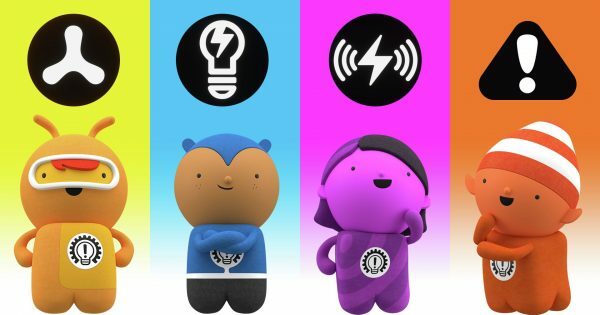 The series aims to inspire viewers to feel that anything is possible and that they, like Tinpo, have the capability to improve the world around them in fresh and inspiring ways, and can aspire to great things by partnering imagination and inspiration with persistence, optimism and a bit of “grit”. UKMums.tv believes that Tinpo’s fresh approach to animation, storylines and imagination is just what is needed for a little downtime informant of the small screen. We love it and we think you will too. The show airs at 06.55am and 3.55pm each day on CBeebies and is also available on BBC iPlayer!